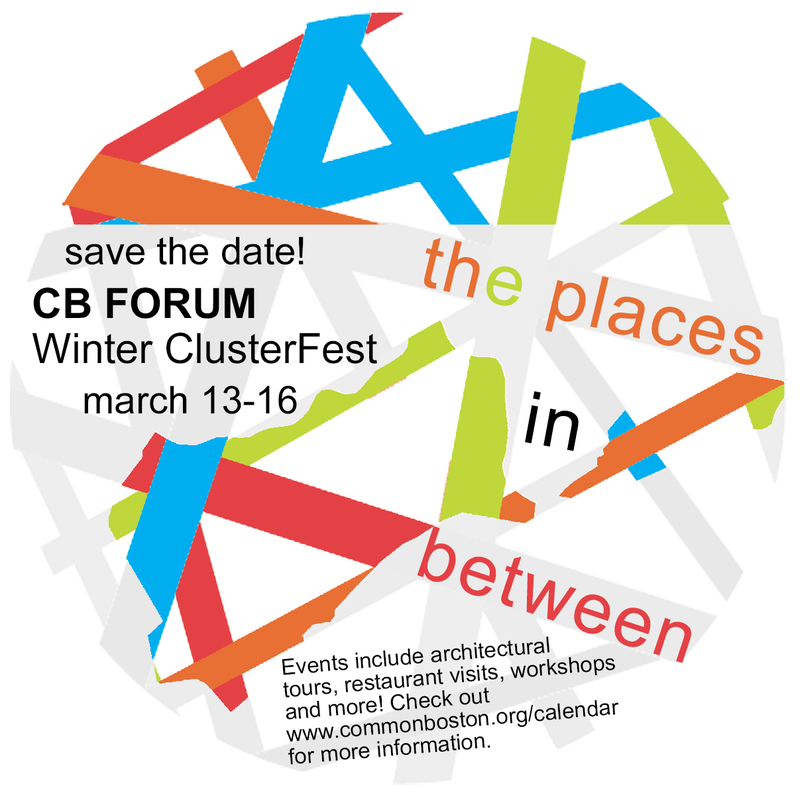 Please join Common Boston in kicking off its 2014 programming with a very special event, the CB Forum! 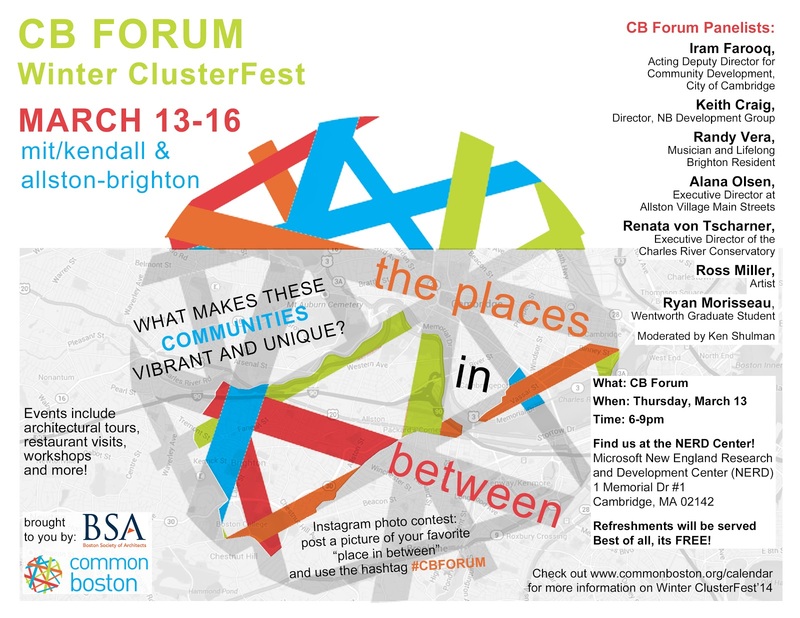 This interactive conversation will be framed by our theme "The Places In Between" and focus on two Common Point neighborhoods– Kendall/MIT and Allston-Brighton. We'll chat with local residents, students, designers, business people and community leaders about what makes for a vibrant community from their perspective. Audience Q&A to follow. The CB Forum will be moderated by Ken Shulman, an independent journalist and Contributing Editor to Metropolis Magazine. Click HERE to attend, or visit http://www.eventbrite.com/e/cb-forum-allston-brighton-kendallmit-tickets-10772830827.